Anyone who manages real estate knows that there are times when you need to quickly and inexpensively lock down and secure a vacant property. Lock-Kill is a product that does just that. Waiting for a locksmith can take hours, and after-hours calls are expensive. 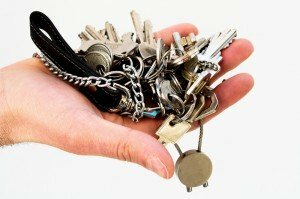 When all you want to do is secure a home or apartment after it has been vacated to prevent unauthorized re-entry by someone who has a key or can pick locks, Lock-Kill is a great tool to have in your toolbox. All you do is insert the special key and in 3 seconds the lock is completely immobilized. The key can not be removed or turned. Later, at your convenience you can have the lock replaced an a much lower cost than an after-hours locksmith call.